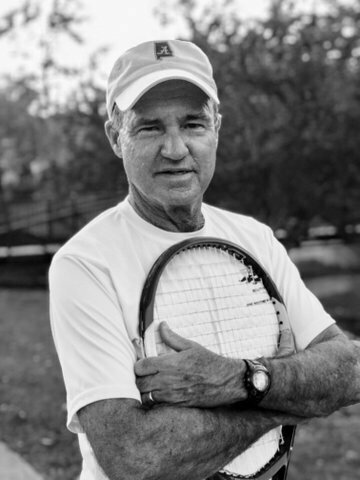 Eddie Jacques of Huntsville, Grant Rolley of Jasper, and of special interest to the Birmingham residents, Boo Mason, Director of Tennis for Hoover Country Club will be introduced into the Alabama Tennis Hall of Fame. 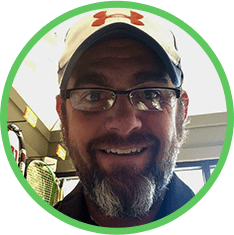 Boo, a player and teacher of impeccable sportsmanship on and off the court, as well as an outstanding volunteer for USTA Alabama, is well deserving of this Honor. As a junior player, Boo was ranked #1 in the state in boys 16s and 18s, played high school tennis at Mountain Brook High School, followed by being on the team at the University of Alabama. 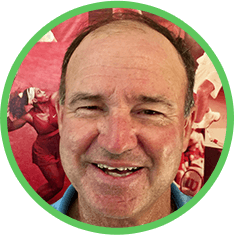 In addition to his current duties as Director of Tennis at Hoover Country Club, Boo frequently volunteers as captain of Senior Men’s USTA Teams, and most importantly is the acting captain of the Alabama Senior Cup Men’s team. The Senior Cup is a Davis Cup type competition that includes the nine states that make up the USTA Southern Section of the United States Tennis Association. Boo was named the United States Southern Professional Teaching Association Professional of the year in 2011, the United States Tennis Association, Alabama Professional of the year in 1992,1999, & 2007. Boo and his wife Nancy have three grown children. The Ceremony will be held at Vestavia Country Club, February 17, 2018. Come join us for a week of fun at Boo Mason Tennis camp.Â Whether you choose a full- or half-day session, your child will have a blast learning the sport of a lifetime.Â Each day of camp will cover stroke production, tactics, and match play.Â Our full-day and afternoon sessions will include video instruction and water play.Â Â Check out why Hoover Country Club has an award-winning junior program. Full-Day session:Â 8 a.m. - 4 p.m.
Half-Day session 1:Â 8 a.m. â€“ 12 p.m.
Half-Day session 2:Â 12 p.m. â€“ 4 p.m.
A 50% non-refundable deposit is due at registration.Â We accept cash, check, or credit card. Camp is limited to 35 students per week.Â Sign up today before it's too late! To register, complete theÂ form and bring it to the Hoover Country Club Tennis Shop or scan and email it to boo@hoovercc.com. Call 205-637-3703205-637-3703 with any questions. Boo Mason Tennis doesn’t concentrate on winning for the “sake of winning”, but on skill development. All our instructors are well trained and are focused on where your child is and to reach their full potential. The Boo Mason Junior Tennis Program at Boo Mason Tennis is second to none. Our award winning Junior Development Program has been going strong for 25 years. 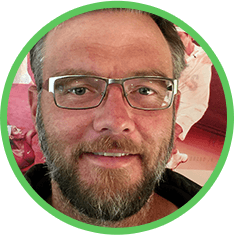 Boo Mason has been involved in working with young tennis players in every capacity. We organize a number of events for players of all levels. Our events include beginner clinic, intermediate clinic, advanced clinic and more. Raise your game to the next level by joining us! You may speak with Boo or Josh to find a private lesson instructor and time. Boo Mason Tennis runs the tennis shop at Hoover Country Club and is a full-service tennis store. We sell racquets, clothes, shoes and accessories. We also string racquets. We specialize in being able to get things other shops can’t find.